Having lost his faith many years ago, Detective Bill Broadly is called to investigate the disappearance of the local church’s collection plate. As he questions its various church members, rumors swirl as more congregants learn about the theft. When one unexpected church-goer confesses to stealing the funds, the confession resurrects Broadly’s views on God, and helps him see that through faith and belief there really is rebirth and redemption. Some of the actors in this movie are John Ratzenberg(What if?, Many movies & Cheers), Erin Bethea(Previously in Fireproof) and Lorenzo Lamas(many movies & Renegade at Heart). I will start by saying that Amazing Grace is one of my favorite songs and was my grandfather’s favorite song. I still remember him playing it on the piano by heart and on his accordion. We would just sit and listen in amazement. God’s grace is a beautiful thing. This movie GRACE OF GOD centers around some money(just over $30,000) that comes up missing in a church. They hire a private investigator to try and find out how it disappeared. You will find out who stole the money towards the end of the movie but it will keep you guessing all the way up till you do. I loved that part of this movie(I guessed the wrong person at first). As the private investigator discovers how the money disappeared he also discovers what Grace really means. Although it says ages 12 plus I did let my 7 year old watch this movie with me. I feel like it was a great message for her to hear. I did walk her through some parts of the movie to help her understand why the person stole the money. I explained to her that we all have sinned and fallen short(telling her things I have done and letting her tell me things that she has done). Then I explained to her that we are forgiven and that through Jesus we are given the Grace of God. 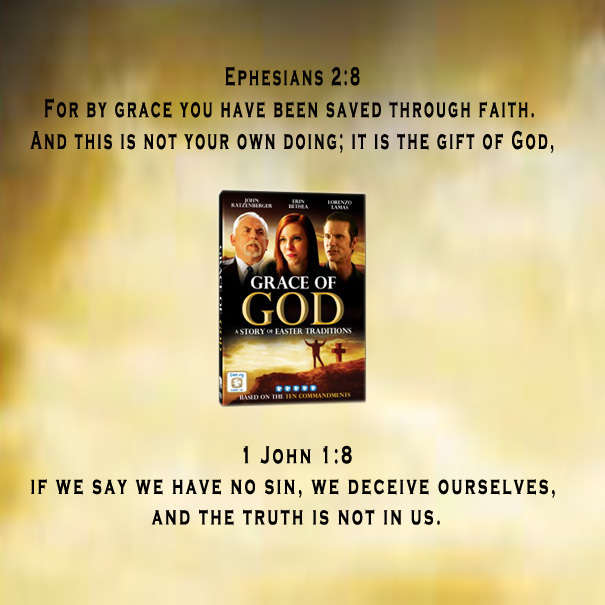 If you are looking for a Christian Family Movie with suspense and a great story line GRACE OF GOD is just what you are looking for. I think that watching GRACE OF GOD is a great way to learn a few life lessons in acceptance, forgiveness and honesty. God is Good!! What are your thoughts about the Grace of God?